One dough two different variations! A tangy sweet cider rye bread that makes some hella good toast! Perfect just with spread or for vegan cheese on toast, heck it would be great as part of a vegan cheese board- slabs of thick bread, some spread and a selection of homemade artisan vegan cheeses, maybe a little cider on the side? Who could say no? The simpler rye sunflower bread makes a great more day-to-day loaf and is great for people who don’t want to use the cider as they don’t like alchz’ for whatever reason. Mix together the flours and the salt in a mixing bowl. Gently heat the cider with the sugar in a small saucepan until it is “blood heat” then make a well in the middle of your dry ingredients and pour in the liquids, crumble in the fresh yeast. Once the yeast is frothy and active stir everything together and add 1 tbsp of rapeseed oil, bring the dough together using your hands and then transfer to a floured work surface and knead for about 10 minutes until the dough is smooth and elastic. Shape into a ball and turn the dough around in an oiled mixing bowl, cover with cling film and let rise for up to 2 hours- or until doubled in size. Punch the dough down (and incorporate the 1/4 cup of sunflower seeds if making sunflower rye)and lightly knead for about 1 minute. Shape into a boule and place seem side down in a banneton that has been lightly flowered with rye flour- for the sunflower rye bread, shape into a loaf and place in a loaf tin, top with sunflower seeds. Cover with a cloth and allow to rise for 30mins- 1hour or until the dough has doubled back up. For the cider rye turn it out onto a lightly oiled baking sheet that has been sprinkled with semolina. Slash the tops of the loaves. Place in an oven which has been preheated to 230c/450f. bake for 35- 45 minutes until crusty and the bread sounds hollow when tapped on the bottom. Cool completely before slicing. This entry was posted in Breads, VeganMoFo 2013 and tagged 2013, baking, bread, cider, food, organic, recipe, vegan, vegan month of food, veganmofo. Bookmark the permalink. WHOOP, we are ahead of the game ;), the day startslater in US right? I love rye bread in all its forms – these look so good and crusty, I could just about tear a chunk off through the screen! Thanks, and who doesn’t love a good crust?? Thanks – that’s my bible 🙂 I think I saw one on tescos vegan list also so must check it again! 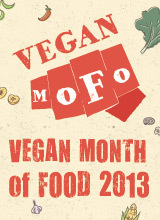 Looking forward to seeing all ur other MoFo recipes!! I used thatchers old rascal which is spossed to be vegan and from what I have heard has been vegan for a while- also its damn tasty! I have missed your comments, you are too kind! That cider rye is gorgeous! I wish I was motivated enough to make such awesome loaves! This sounds fantastic! 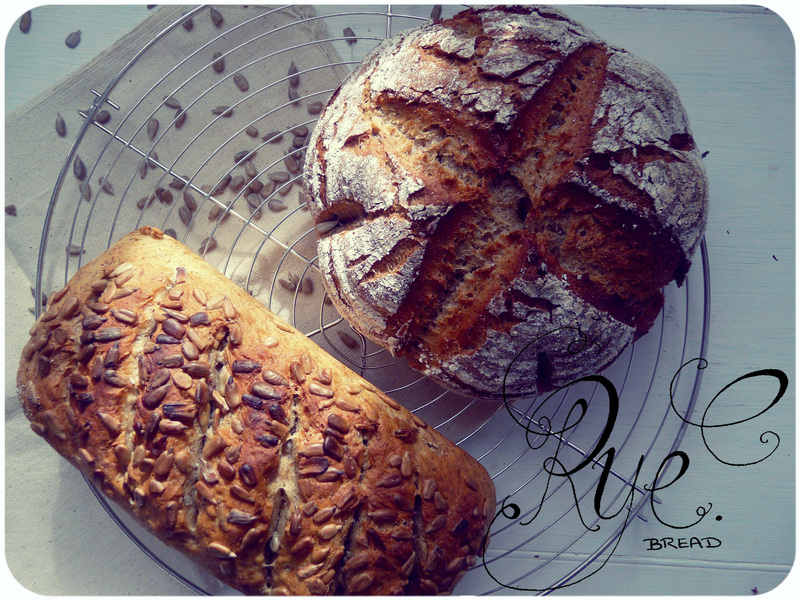 Rye bread is one of my favs. What brand of cider did you use? Sweet! I’ll see if I can hunt it down, thanks! holy moly. your breads look so totally perfect and fantastic. Sigh. I love rye bread so much, and I love that mega hearty round loaf. It looks amazing! Thank you, thats the rye cider bread- totally delish!